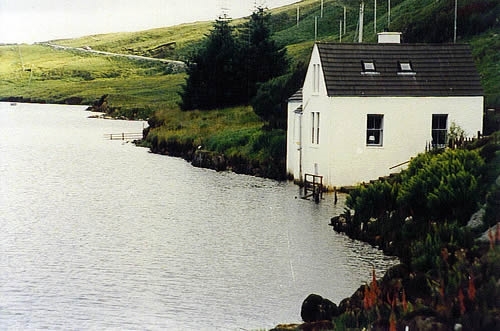 Set in a wild garden with spectacular views across the loch and north to The Old Man of Storr, one of Skye's best known landmarks. Small boat also available for fishing hire on lochs. Albert Watson on 'What Do Artists Do All Day' on BBC4. The views west look across the islands of Raassay and Rona to the Applecross Peninsula on the mainland of Scotland. This is a wonderful area for walkers, with often breath-taking views, providing some of the finest vistas in the U.K.
Trotternish is the area the Storr Lochs are set in, with a spine of hills running down most of its length. The Trotternish Ridge has some of Skye's most bizarre land forms, honed over the millennia by glaciers, volcanic activity and land-slips. The Storr, and further north, the Quairang being two of the most notable areas. For those interested in fishing, there is a small jetty at the rear of the house and boats may be hired by prior arrangement. 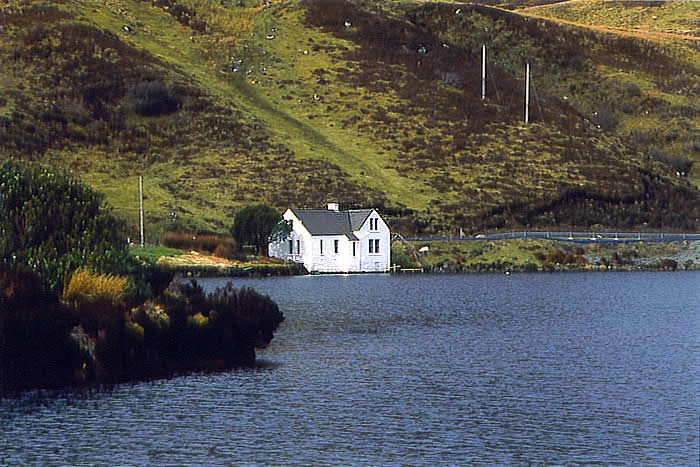 The Lodge is situated on Loch Fada, the first, and smaller of the two Storr Lochs, the more northerly one being Loch Leathan. The cottage has two bedrooms, the upstairs room has beds which may be made up separately or joined to make a large double. It has a lovely view South over the garden and the loch. The downstairs bedroom is next to the bathroom, ideal for anyone who has a problem with stairs. The beds are singles, and it also has a good view. The house is amply supplied with heaters. Prices are from £300 - £550 per unit per week. Recently featured on BBC 4 when Albert Watson on the programme 'What Do Artists Do All Day' on BBC 4.